More Training Bra Tips - It’s exciting and tonnes of fun to shop for preteen bras and lingerie, once you've gotten the fundamentals out of the way. But, more often than not bra shopping for your daughter and loading up on cute styles that she loves can be hard on the wallet. How do you balance giving your little girl everything that she wants and needs without breaking the bank? Not to worry. 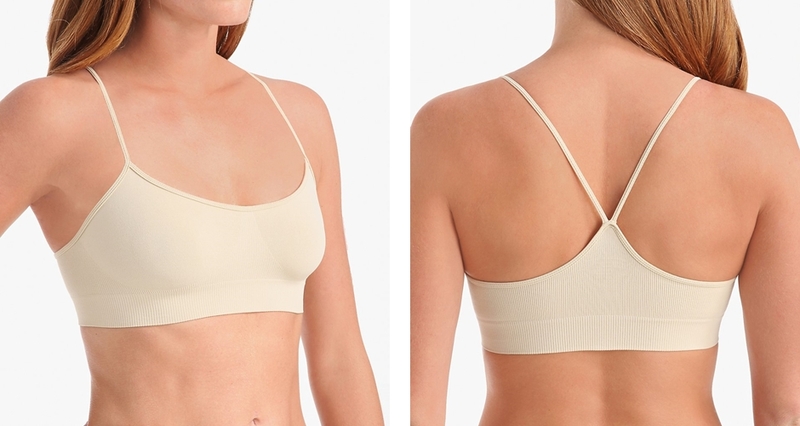 A few simple tips can help save a bundle on all of the bras that both of you will love. Follow along with these helpful hints on how to score the best deals and get a discount on the best training bras that will bring a smile to her face. Most intimate apparel retailers usually have two big semi-annual sales where they reduce prices store-wide. They are definitely worth checking out. These sales typically happen at the end of the summer to make room for fall and winter styles, and then again at the end of the winter months to clear out merchandise in anticipation of spring. If your daughter is close to needing a preteen bra and it’s near one of the semi-annual sales it can be worthwhile to wait a bit so you can stock up. If you find yourself in a pinch and she desperately needs more training bras, you can always buy her an inexpensive one to tide her over until the big savings hit and then stock up on her favorite styles. Take a few moments to chat with the regular / senior sales associates at your favorite lingerie or department store. Why? They have insider knowledge on more training bra styles and sizes than you can imagine. Plus, they usually know ahead of time when the special sales will be and they may even be able to let you in on secret discounts, like friends and family rates. It can be well worth it to spend some time chatting and letting them know what you’re looking for so they can keep an eye open for special styles, colors, or sizes that your daughter will love, and keep you in the know about big sales events. Many department stores and lingerie stores offer great savings when you buy more than one bra at a time. Look for “buy one, get one," also known as BOGO sales or offers that give you discounts where you can buy several bras and score big on extras. If your daughter has a style that she loves, it’s worthwhile to stock up on a few of her favorite colors - this is a great way to enjoy big savings on bulk deals. Many people bypass signing up for store email or VIP lists, but this is a great trick that can really save you a lot of money. Getting onto a store’s mailing list will more often than not give you the 411 on flash sales, VIP discounts, and perks, etc. More importantly, you'll be informed ahead of the general public about special events and extra discounts on all sorts of insider goodies. Once you’ve had a chance to narrow down your choices to a few teen lingerie styles and brands that your daughter loves, try shopping online for bigger savings and discounts. There are often coupon codes that you can apply to your order that will save you a bundle, or special sales that are only offered to online customers. If you're buying online, it’s important to know the exact style and size that you're buying so that you can avoid any disappointment at a later date. What to do? Get your daughter to try on several bras in person, and make note of her favorite brands, style numbers, sizes, and colors. Then, save your purchases for when you can shop from the comfort of your own home. You’ll love getting all of the great training bra styles that she loves at a price that you’ll enjoy even more!